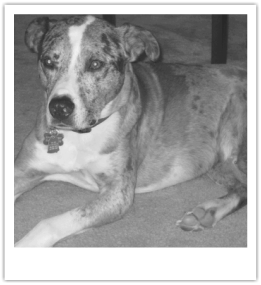 The story of the Rowdy Relief Fund (RRF) started with a two year old pup named, Lilly. She was brought into Dr. Dustin Gilbert’s office (RRF Founder) with severe pain in her hips. She was diagnosed with bilateral hip dysplasia, a congenital disorder, which required surgery. Her owner could not afford the surgery and asked that she be put down because of her chronic pain. Instead of complying with the owners wishes, Dustin asked that Lilly be relinquished into his personal care. Surgery and hospitalization were provided at a discounted price and Dustin paid for the rest out of pocket. Lily is now a proud member of the Gilbert family and can keep up with the rest of the pack at home. After working with Lilly, Dustin realized this was not the first, nor would it be the last, case of its kind where an owner could not afford an expensive procedure that would allow their animal to live a long, high quality life. Dustin desperately wanted to create a program that would help these animals receive the care they needed, but he also wanted to do something more. He wanted his program to reach beyond pet care by supporting volunteer efforts that would lead to positive change in the community around him. It was during this reflection that Dustin realized he could start something that focused on both funding animals in need and empowering people to make a difference in the lives of those around them. Thus the idea behind Rowdy Relief Fund was born and through the dedicated efforts of Dr. Gilbert and the board members of RRF, the vision is becoming a reality. Rowdy was rescued by Dr. Gilbert during veterinary school. He ended up being diagnosed with cancer during school requiring extensive medical and surgical care. Unfortunately Rowdy succumbed to the cancer shortly after graduation. It is in memory of our good friend that we named our Non-Profit.